Latin America and the Caribbean are home to ancient traditions of shamanism and healing. Indigenous populations paid homage to specialists who learned their arts as child apprentices passed down through the generations. Every pre-technological population recognized the importance of those members who were called to communicate with the supernatural to maintain the physical and psychological well-being of their people. Sub-cultural similarities were recognized in the traditions of the New World with the Old World including the subtleties and variations of their practice. The first Europeans immediately recognized these remarkable similarities in belief and practice in the New World many of whom themselves were priests and healers. Remarkably native shaman and healers throughout the hundreds of cultures that existed in the pre-Columbian world, shared beliefs, systems, and techniques indicating their human universality. Since the original Europeans spoke Spanish and Portuguese, the word to heal, curar, was adopted to describe these healing traditions. The practitioners were called curanderos, and their practice was curanderismo. Hence, curanderismo is the name given to the ancient arts of folk healing and shamanism in Latin America. It is a benevolent practice, which seeks to assist people with their trials and tribulations of everyday life. The practice of curanderismo includes folk healing, psychological counseling, as well as shamanistic practices, all referred to as folk psychiatry (Kiev, 1968). Practitioners of the art of spiritual healing known as curanderismo are referred to as curanderos if they are men and curanderas if they are women, and their beliefs and practices have become ubiquitous around the world with the burgeoning growth of the Latino-Caribbean diaspora. The word curandero in Spanish refers to an individual who possesses the esoteric knowledge and skills of healing the body and the mind as well as mantic supernatural communication with the gods in societies with limited access to modern medicine or psychiatry. These ancient traditions were commonplace in pre-Columbian Latin America and practiced by both healers and mystical shaman. The two traditions, curanderismo, and shamanism are synonymous in Spanish-speaking cultures today. Curanderismo is a benevolent art, which provides people with support for health and personal problems and open channels for regaining wellness (Trotter and Chavira, 1981). The culturally based beliefs of curanderismo reinforce the healing and consultative practices common in all Spanish-speaking cultures with roots in the indigenous communities of Latin America, the Caribbean, and Africa. The practices and beliefs of curanderismo have migrated with Latinos throughout the world, and are commonplace in sprawling urban centers, where Latinos have established enclaves. While anthropologists commonly use the term curanderismo, it is usually unfamiliar to most Latinos. However, curandero or curandera, are commonplace within the Latino lexicon. As such, medicinal plant and magic supply stores called hierberías or botánicas are found on the main streets in every Latino neighborhood throughout the world. Businesses announce the services of curanderos utilizing a variety of curanderismo’s eclectic traditions, promising to resolve amorous relationships, legal cases and every kind of life dilemma. Today, these esoteric services are widely advertised on Spanish-speaking TV, in newspapers, magazines, and in social media. Curanderos are sometimes affiliated with organized folk religions such as the spirit-based Cuban and Puerto Rican Santería, Haitian Voodoo, Brazilian Candomblé, Umbanda and Macumba, and Mexican Curanderismo as well as with their matriarch, Roman Catholicism. 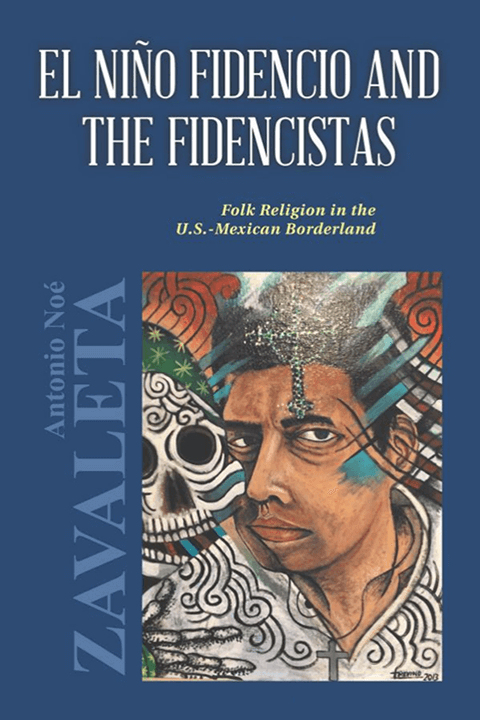 All forms of curanderismo rely heavily upon Catholic iconology and are syncretic manifestations of the mixing of indigenous systems with Roman Catholic beliefs and practices. Modern curanderismo is a synthesis of beliefs and rituals derived from pre-Columbian, Native American, Medieval Catholic, Judeo-Christian, Buddhist and Islamic, Spiritism, New Age practices in all their diversity. It is a system, which is continually adding new concepts and discarding old, it is ever evolving while maintaining its ancient origins. An excellent example of this evolution is the recent addition of La Santa Muerte or the Saint of Death into the pantheon of saints and spirits of curanderismo. 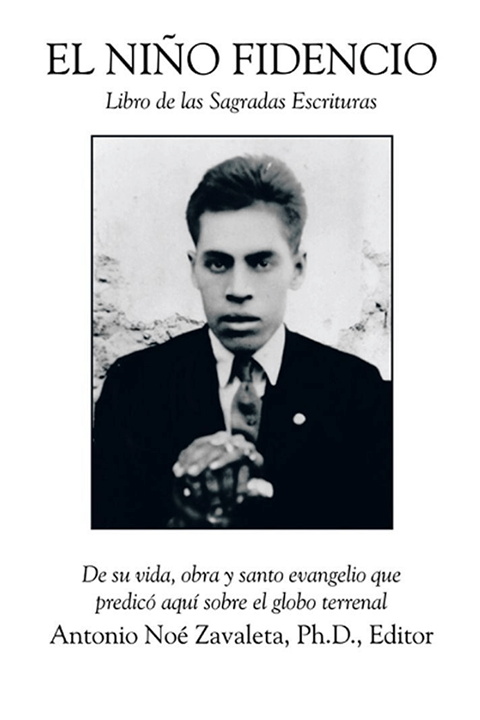 Today, saint of death products, unknown 20 years ago, are universally for sale in hierberías and prominently featured on the altars of many curanderos. Curanderismo is thriving throughout the world and is an essential support institution in the Latino community. Many people believe that curanderismo is a dying art, but nothing could be further from the truth. Most practitioners of curanderismo have indigenous backgrounds emanating from heritages passed down through families. It is important to note that virtually all folk-based religious practices with an origin in the Spanish-speaking world are derived from a mixture of Roman Catholicism with native beliefs, and all variants of curanderismo are thus, categorized as folk Catholicism. In the modern world, the practices of curanderos both complement and serve as alternatives to medicine in support of restoring physical, psychological, and spiritual well-being. Today, curanderos perform shamanistic and healing rituals, linking people to the supernatural for their physical and spiritual regeneration and esoteric needs. Therefore, curanderos and shaman are viewed as dual practitioners of a single mystical system. Healing and consultation are achieved through unique forms of communication with spirit entities, including the use of entheogenic plants, trance mediumship, and prayer. There are many sub-categories of curanderos, including those who are believed to have received true gifts of healing from God and those who emulate without having received the spiritual gift. It is fair to say that most curanderos have not received a gift, having learned the practices and rituals of curanderismo through observation and apprenticeship. Nevertheless, both categories of curanderos fill an essential niche, providing services in economically marginalized populations underserved by modern medical, psychological, and spiritual providers. Some curanderos serve as trance mediums that channel ancestral spirits, including those of deceased persons such as mystical physicians, child healers, and the spirits of bandits and prominent revolutionary figures. However, most curanderos function solely on the earthly plane dispersing advice through concentration or by using some form of divination, including the interpretation of tarot cards and the Cuban caracoles, or shell reading. Commonly, curanderos will utilize a wide range of materia-médica in their practices including florid water, candles, incense, oils, powders, medicinal plants, dolls, and many other items. Today, these supplies are mass-produced and sold in stores. However, curanderos will ritually prepare candles and dolls for specific purposes ordered for people with special needs such as reversing spells. They are prepared upon request at neighborhood stores, many of which employ curanderos on-site to serve walk-in customers. Commercial curanderos have learned their arts through observation and practice but are not considered to have spiritual gifts, and are usually associated with a hierbería or botánica that supplies the magical materials that authentic neighborhood curanderos prescribe for their clients. After their initial consultation with a client, curanderos will typically write prescriptions or recetas for items to be purchased at the hierbería or botánica or folk-pharmacy. The curandero-client-hierbería relationship is similar, to the physician-patient-pharmacy paradigm and the herb-candle and magical accessory store are their sources for these items (Torres, 2006). Additionally, many curanderos stock commonly prescribed items in their homes for sale, facilitating remedies for clients. Commercial curanderos operate businesses and charge fees for services that are often exorbitant, promising unsuspecting and naïve clients’ future miracles, which are rarely realized. Authentically gifted curanderos, on the other hand, are renowned in their communities, and their reputations are passed on mostly through word of mouth. They service clients in their homes and are considered genuine because they are born out of the culture they serve and are believed by the people to have received a spiritual gift, based mainly upon the number of miracles they have effectuated. They accept donations to support their practice but do not charge a fee-for-service since they are functioning at the behest of divine ordination. Authentic curanderos primarily practice their healing art from their homes, where they consecrate one room of their dwelling for healing treatment and consultation with clients. The healing sanctuary is usually set apart from the rest of the house in a place that is beyond the view of the clients situated in the waiting area outside for service. Their healing practices are generally very busy, and they have waiting rooms full of clients from morning until late at night on consulting days. These neighborhood curanderos have reputations as authentic, and have been chosen to receive a spiritual gift of healing from the Holy Spirit and are usually Roman Catholic. Curanderismo is also recognized to have numerous sub-categories of specialization similar to medical practice. For example, midwives or parteras are specialized curanderas as well as are massage therapists, called sobadores, and bonesetters called hueseros. Curanderismo is an ancient art, and the original curanderos were essential members of indigenous communities throughout Mexico, Latin America, and the Caribbean. When Europeans arrived in the 16th century, they brought with them a superstitious form of Catholicism that easily mixed with the native beliefs they found practiced in the New World, thus eliminating indigenous beliefs and practices. However, curanderos were immediately seen as religious competitors, and the inquisition persecuted them for their practices. Since evangelization was one of the Church’s primary objectives in the New World, natives were expected to be baptized as Christians and follow stringent Catholic beliefs and practices. Early curanderos operated with the assistance of their indigenous religious beliefs and spiritual entities. Since not Catholic, their practices were considered unholy and therefore, not accepted by the Church. Native healers hid their practices out of fear of reprisals by the Church, were forced underground, and many were imprisoned or killed. Interestingly, Catholic priests noticed that many of the indigenous beliefs and practices were similar to their own, so over time, Latin American Catholicism evolved into a strange form of folk Catholicism, which is prevalent today throughout Latin America and the Caribbean. Eventually, their beliefs and practices including ritual dance and the celebration of seasonal change were incorporated in the Catholic liturgical cycle. Fortunately, early scholar-priests learned the native languages of the New World, interviewed, and documented indigenous healers producing numerous volumes that have survived 500 years from the time of the Spanish Conquest. Today we recognize that the perception of health and illness, as well as the decision to seek health care, are culturally determined. People who see curanderos for a health or personal problem do so because their cultural beliefs direct them to a culturally based treatment by a curandero. The work of the curandero may simultaneously complement and serve as an alternative to modern medicine. Curanderismo operates under a paradigm, which believes that wellness and illness have both natural and supernatural causation. For example, curanderismo asserts that the shadow of a lunar eclipse falling upon a pregnant woman may cause a cleft lip or palate in the fetus. The mother’s sinful acts could also cause the same pre-natal condition. The underlying concept of balance is one of the essential beliefs in the practice of curanderismo. Balance sustains wellness while imbalance produces illness. Curanderos and shaman believe that God and his spiritual agents are continually watching over earthly beings. These spiritual watchers keep score, rewarding the good while punishing those who are evil. Therefore, a person in need of assistance may visit a curandero who forms a petition and mediates with saints for the resolution of a personal problem, a family illness, or for example, a community in desperate need of rain. The theory of propitiation anticipates that the petitioner will promise to visit the saint’s holy shrine making a propitiating offering in return for a miracle delivered. The curandero acts as the earthly intermediary on behalf of the petitioner and between the heaven and earth and the illness-wellness continua. Numerous ancient theories underlie the modern practice of curanderismo, including the doctrine of supernatural intervention, the belief that there is an active and ongoing battle between good and evil in which God and his agents must be honored, and the devil is vanquished. In this cautionary folktale, a young girl receives punishment from the spirts for disobeying her parents. She is told she may not go to the dance but sneaks out anyway, once there, she is rewarded with the attention of the most handsome young man at the dance. Approaching midnight and after a full evening of dancing, the handsome young man reveals that he is the devil in disguise and the young girl becomes frightened and suffers soul loss or susto. The errant girl is stricken with a folk illness called susto or fright sickness, causing her soul to be scared out of her body and lost. Susto is listed under Culture-Bound Syndromes in the Diagnostic and Statistical Manual of Mental Disorders (DSM-IV-TR) in addition to nine other syndromes all of which are addressed by curanderos (Rubel, 1984). The girl’s susto displays the typical symptoms of her folk illness, sleeplessness, loss of appetite and dissociative characteristics and can only be treated by repetitive and ongoing visits to a curandero, who administers the appropriate ritual sweeping or barrida, accompanied by other treatments intended to coax the missing part of the soul back into her body. A folk illness always requires a folk cure, hence the continuing need for curanderos. The humoral theory is another essential operating concept in curanderismo and is attributed to the ancient Greek Hippocrates. The humoral theory is an essential aspect of diagnosis and identifies four critical attributes represented by combinations of bodily fluids influencing personality characteristics. Curanderos believe that humoral fluids must be in balance for health to be maintained. Blood is hot-and-moist humor with characteristics associated with a sanguine and cheerful personality. Black bile, on the other hand, is cold-and-dry humor creating a melancholy or unhappy person. The two remaining humors are choleric yellow bile, which produces a bad-tempered disposition, and lastly, the humor phlegm, which causes an unemotional disposition, produced by an overabundance of phlegmatic fluid. The first visit to a curandero is usually an assessment or evaluation through a combination of observation and interview. The curandero determines the person’s personality type including whether or not their humors are in or out of balance producing illness. An examination of their nutrition then follows the curandero’s assessment of the client. This alimentary analysis determines if there is a balance of hot and cold foods, which are connected to the humoral characteristics, promoting health or if lacking balance, producing illness (Zavaleta and Salinas, 2009). The spiritual or religious factor becomes an added incentive in that prayer, and the intercession of saints and God is always present in curanderismo. The curandero senses the cause of illness and restores balance through a regimen that includes prayer, ritual, and the laying on of hands. Probably the most recognizable technique used by curanderos is ritual sweeping using medicinal plants. In both cases, illness or negative energies are transferred from the client to an object such as an egg or to the curandero himself. The curandero having transferred illness from the client to the curandero’s body must ritually expel it by erucation, or chance disease in the healer. Today, curanderos are respected and revered members of the cultural community. However, the mercenary practices of commercial or faux curanderos damage the reputations of all curanderos who are excoriated continuously by the Catholic Church and the media. The curandero is, in fact, an essential member of the primary health-care delivery team and curanderos form lifetime bonds with their clients just as doctors do. They treat almost all primary-care conditions and many secondary conditions. While most Latinos no longer live a village existence, they do continue to be one of the most economically marginalized and medically underserved communities. Thus, today many curanderos function effectively as “barefoot doctors” in urban settings. The curandero’s caseload primarily consists of clients requiring treatment for emotional problems such as the treatment of: depression; nervousness; anxiety; substance abuse; spirit possession; along with personality disorders. Curanderos also treat secondary-health issues of a physical origin such as diabetes, chronic digestive disorders, respiratory disorders as well as urinary and kidney disorders. The curandero’s medicine chest stocks a majority of the items required for primary care, including many items for first aid, fresh medicinal plants grown at home, and many everyday household items. Items common in every home in the time before modern medicine included: rubbing alcohol; mineral oil; olive oil; cod liver oil; camphor; vinegar; and an assortment of laxatives and purgatives; soaps; liniments; healing mud and holy water. At least 80 percent of all persons seeking the assistance of a curandero today seek treatment for emotional and psychological issues. Fewer than 20 percent of those seeking assistance from a curandero are searching for the resolution of a physical health problem such as upset stomach and fevers, colds and the flu and many other physical conditions. Today, most primary-care issues are treated complimentarily by both curanderos and physicians. Hence, the need for understanding the concepts of cultural competency. Most clients who seek consultations with modern-day curanderos are treated with an assortment of faith-based spiritual modalities such as prayer, chant, song, ritual sweeping, and a laying on of hands, in combination with the use of natural remedies like the fertile hen’s eggs and with fresh herbs, ointments, and liniments. In many cases, votive candles are used for continued treatment and in extreme cases, amulets and talismans are prepared for reversing spells. It is not uncommon for clients to receive ongoing treatment from a curandero for extended periods of time. Cultural values and beliefs such as those practiced by curanderos influence many aspects of Latino health and wellness. Curanderismo helps Latinos and others to understand that recognition of beliefs can facilitate improved health care and maintain wellness. Curanderismo also assists in motivating the cultural community to reduce risk behaviors implicated in disease causation, and curanderismo serves the unintended function of reducing health disparities in the Latino community. Kiev, Ari, 1968, Curanderismo: Mexican American Folk Psychiatry, The Free Press, New York. Trotter, Robert, Juan Chavira 1981, Curanderismo: Mexican American Folk Healing, University of Georgia Press, Athens, Georgia. University of California Press, Berkeley California. 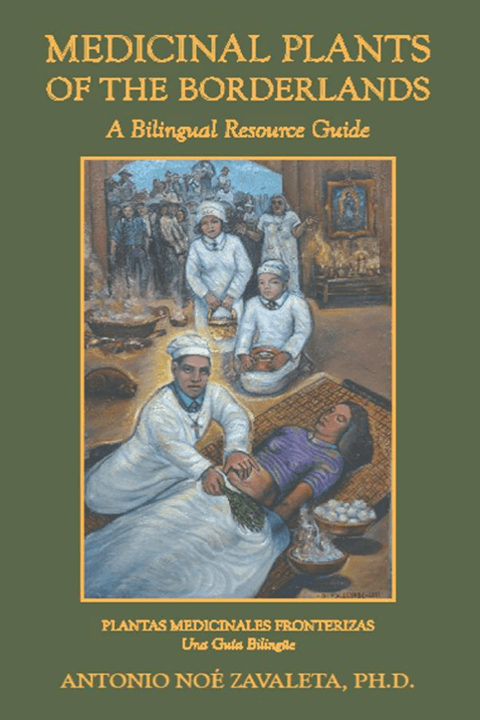 Torres, Eliseo, 2006, Healing with Herbs and Rituals: The Mexican Tradition of Curanderismo, University of New Mexico Press, Albuquerque, New Mexico. 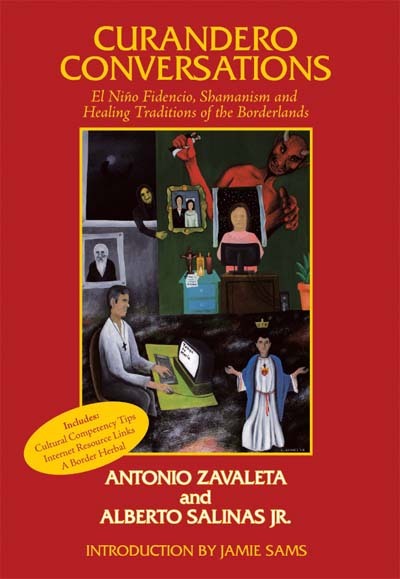 Zavaleta, Antonio N., and Albert Salinas, 2016, Curandero Conversations: El Nino Fidencio, Shamanism and Healing Traditions of the Borderlands, Authorhouse, Bloomington, In.